I'm not generally one to step too far outside my comfort zone when it comes to fashion (or when it comes to anything, really. I am the opposite of a risk-taking adrenaline junkie- I'm the person who waits for the green man at the crossing even when there's no cars coming.) I have a tendency to stick to basics that I know work for me. 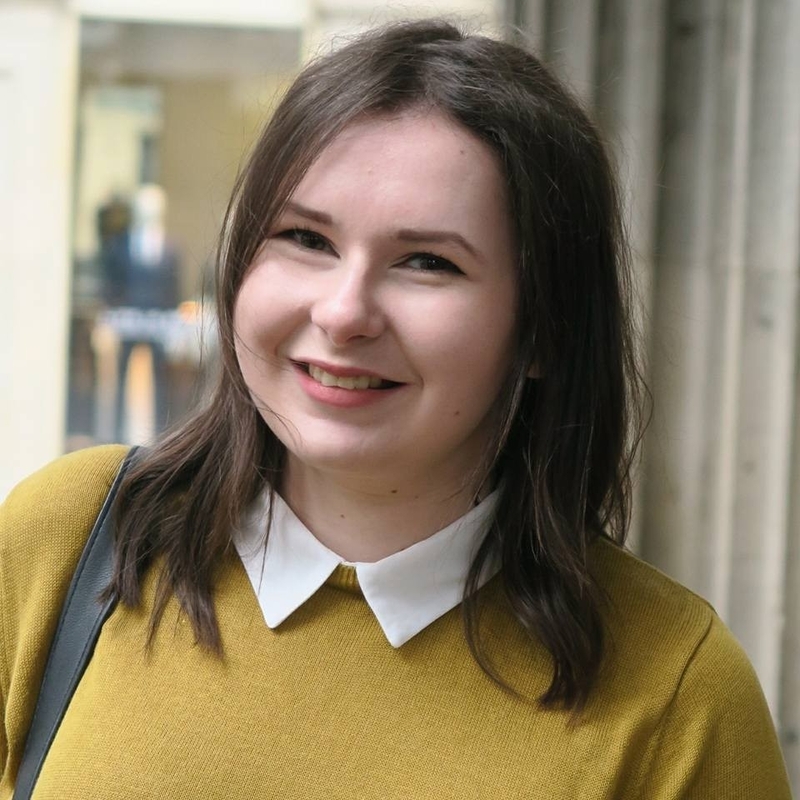 However more recently, particularly since taking an interest in fashion blogging, I've been feeling so much more inspired to take risks with my style and to dip my toe into trends. That's where culottes come in. 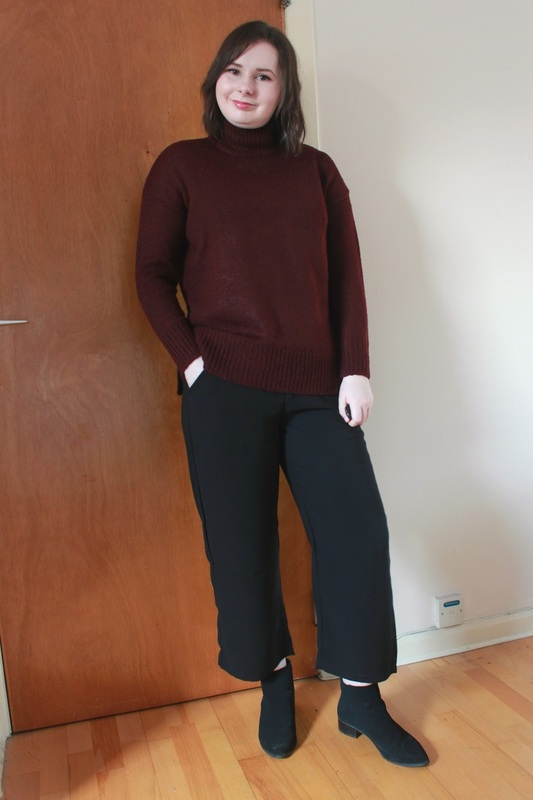 I never used to be into culottes- I, on multiple occasions, referred to them as clown trousers. I'm not sure what changed but I suddenly found myself admiring how they looked on people in the street and saving outfits with them on Pinterest. After a bit of searching back in the summer, I found a pair in Mango that I loved. 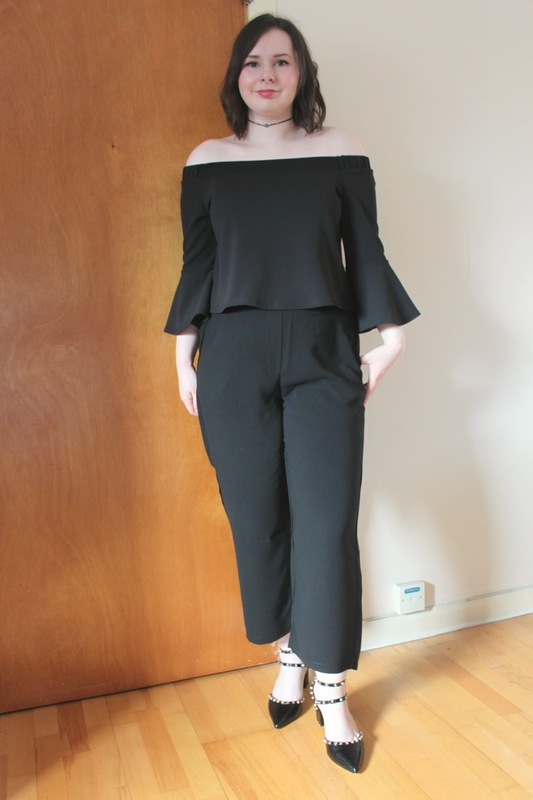 They were slightly longer than standard culottes (I suppose if you were being pernickety you would call them wide-legged cropped trousers, but that's a big mouthful, I'm too lazy to type it and '3 ways to wear wide-legged cropped trousers' just doesn't have the same ring to it.) and were made of this viscose-type material that just hung perfectly. I loved them and wore on many an occasion. Then tragedy struck- I put them in the tumble-dryer. You can guess the outcome. I am an idiot. Moving on. 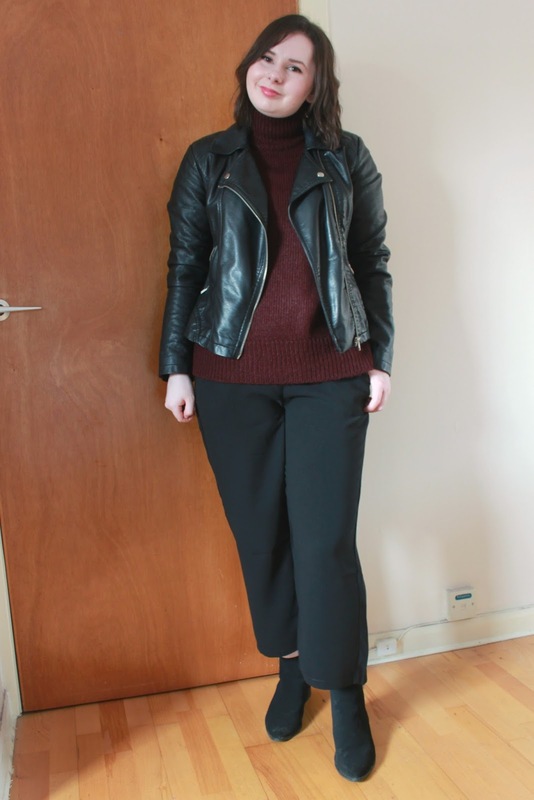 Luckily for me, I recently found another pair from Mango via ASOS that were almost exactly the same. The material is slightly different, but they still hang nicely on the legs without looking too clown-like. 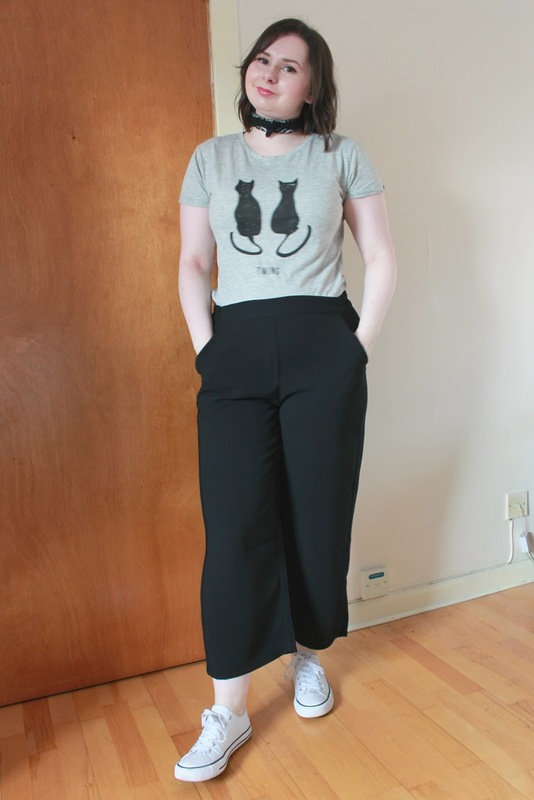 That was a pretty long-winded way of saying they're a slightly longer, more flattering version of culottes, so I find them much more comfortable and easy to style. They rest in the middle ground between trend piece and basic staple. 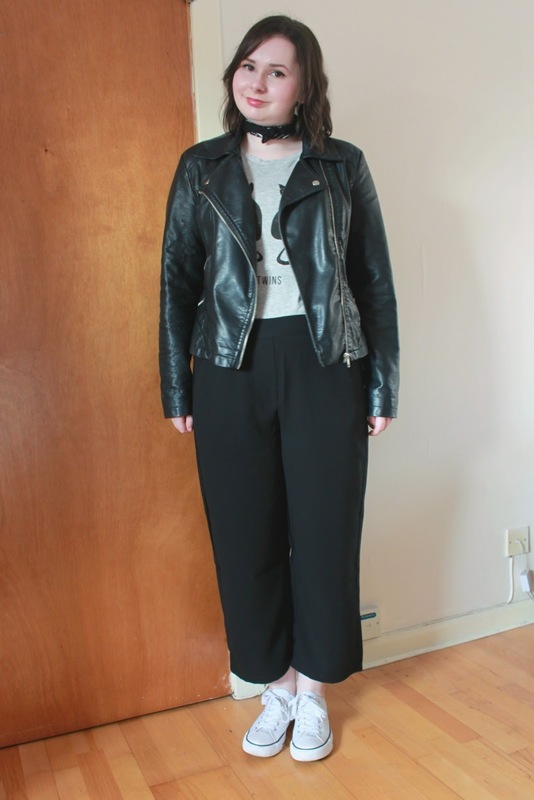 At first, I wasn't too sure what I would wear with them and was worried about looking odd. But, as it turns out, they're just a pair of black trousers. Because they're so simple and basic, there's plenty of ways to style them. 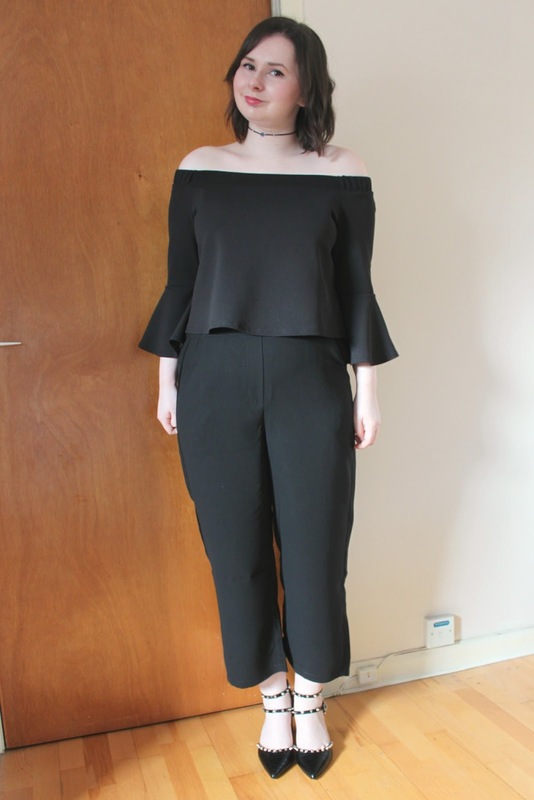 This certainly isn't anything ground-breaking, but sometimes the best outfits are the simplest ones. And, y'know, sometimes you're sleep-deprived, grumpy and just need a comfy t-shirt and trainers day. I seem to be a fan of wearing everything with white trainers at the moment. For someone who didn't actually own a pair of trainers for several years, I've come a long way. I blame Pinterest for this obsession- I have so many pins on my style inspiration board (which you can follow here, fyi) that include white trainers. Granted, they're usually a bit more high-end than my tatty Primark lace ups, but the intention is there. On top, I went for a Mango t-shirt that I'm currently loving. It's soft, it's comfortable and it has cats on it. I needn't say any more. For outerwear, you can never go wrong with a leather jacket. Which is why I live in them about 90% of the time. I know what I like, okay? I finished it off with a black neckerchief, just to make the whole outfit look a little less basic and a little more insta-worthy. This one doesn't look nearly as good on camera as it does in person, so do bear with. 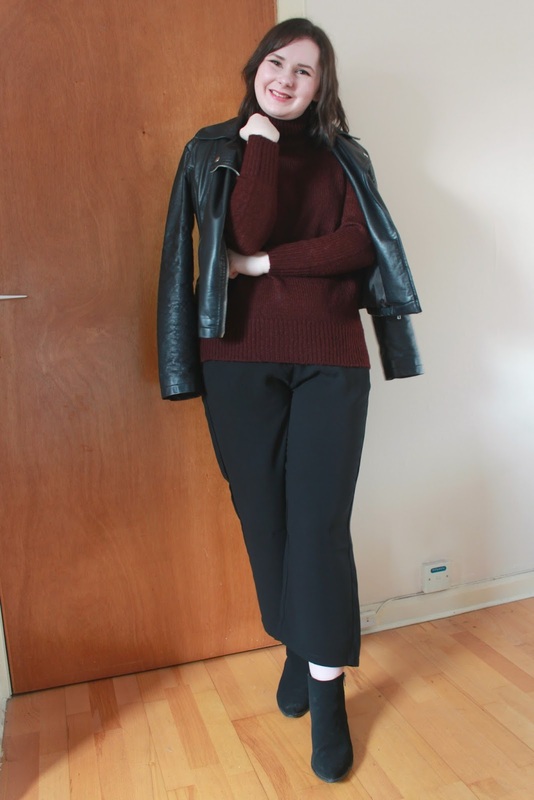 I wanted a look that slightly less casual and also a bit more autumn appropriate. 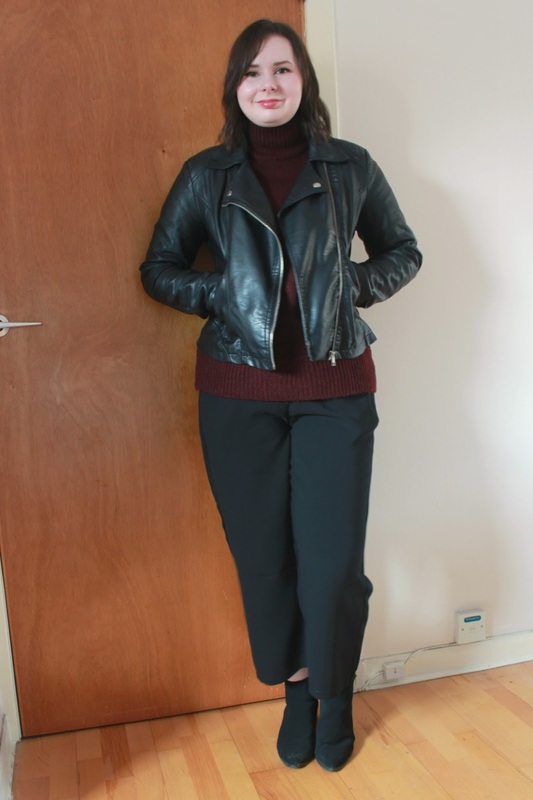 Top tip for being autumn-ready- switch sandals for ankle boots and add a roll-neck jumper. 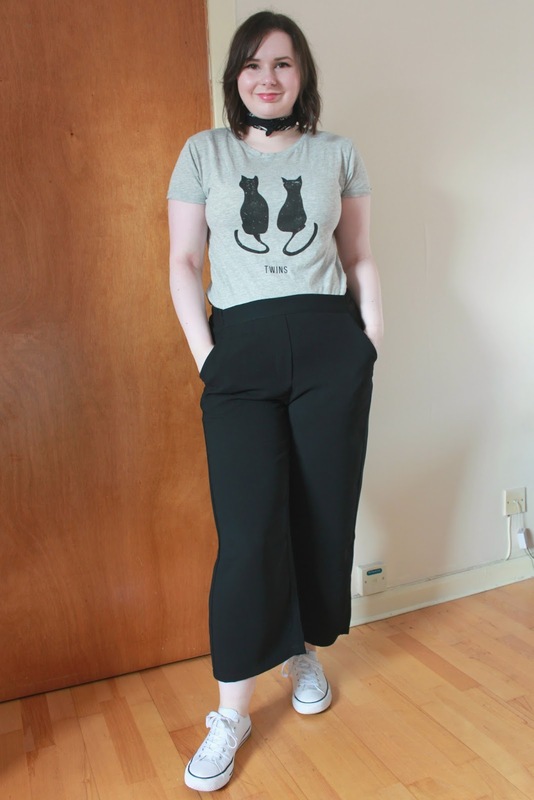 This works for just about any outfit, and I think the culottes are no exception. 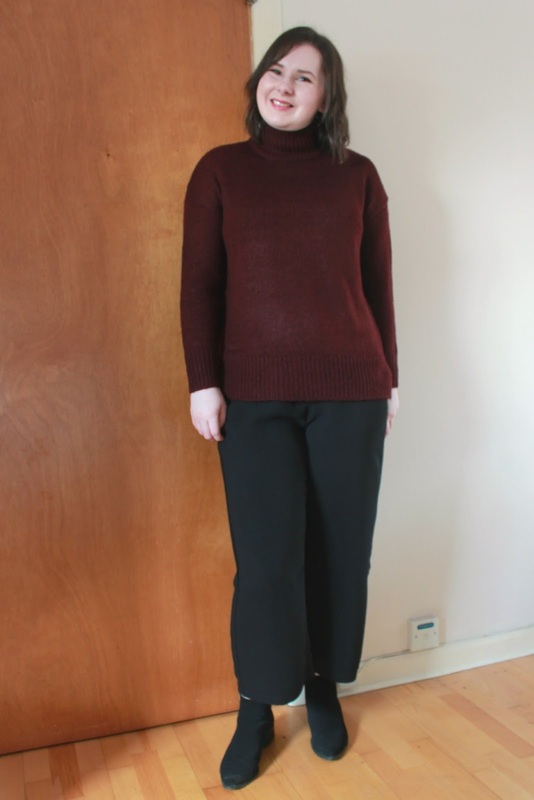 I went with those roll neck I picked up recently from New Look- it's picking up slightly brownish on camera but in person, it's a more of a burgundy. Perfect autumnal colour. The ankle boots are ones I got from ASOS last year, and I can't begin to explain how excited I am to bring them out again. They have a nice point to them which I think works well - it stops my legs from looking too stumpy and smartens up the look a bit. Again, I popped my trusty leather jacket on top (Primark's finest, yo) because I'm predictable af. This is one I'm not massively likely to wear out myself, purely because I don't really go anywhere that warrants dressing up. 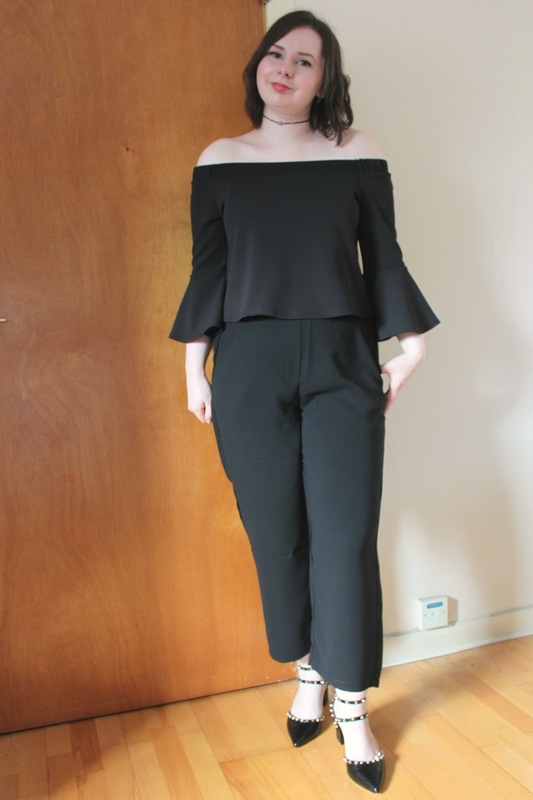 However, if I was the kind of person who had a social life that included going out for meals or drinks and not just sitting indoors watching Netflix, this is totally what I would wear. I've been high-key obsessed with bardot necklines with year and my collection is ever-expanding. 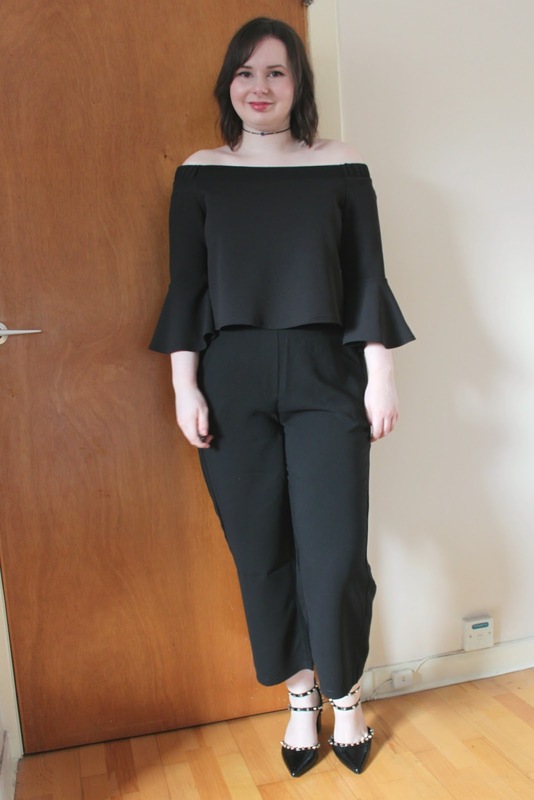 I picked up this bell-sleeve number from New Look in the sale and I LOVE IT- I'd been stalking a very similar one on ASOS so when I saw this one for a fraction of the price, I snapped it up. I love the sleeves on it- it makes me feel a bit Halloweeny. Not that you can't wear this the rest of the year. But any excuse to get excited for Halloween. There may also be a few outtake pictures of me swishing my arms around in amusement. No, you're an overgrown child. For shoes, I went with these studded shoes from ASOS. Again, these are a recent purchase. I didn't really need them, I don't know when I'll wear them but I'm literally so in love with them that I don't care. Do you ever buy a pair of shoes and love them so much that you just sit with them on your feet and stare at them for a while? This was me. They feel kind of inspired by the Valentino Rockstuds that I've coveted for many moons but will, undoubtedly, never be able to afford. Unlike the Rockstuds however, these have a low, chunky heel that even I can walk in, which is quite an achievement for someone who can't walk in heels without resembling Bambi on ice. Winner winner chicken dinner. 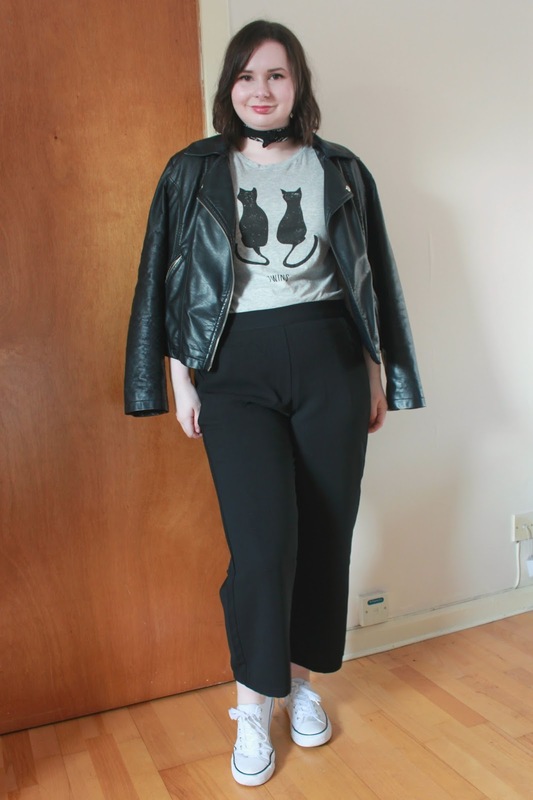 The top look paired with that leather jacket and cute cat tshirt is my favourite! I'm bad for staying in my comfort zone too. 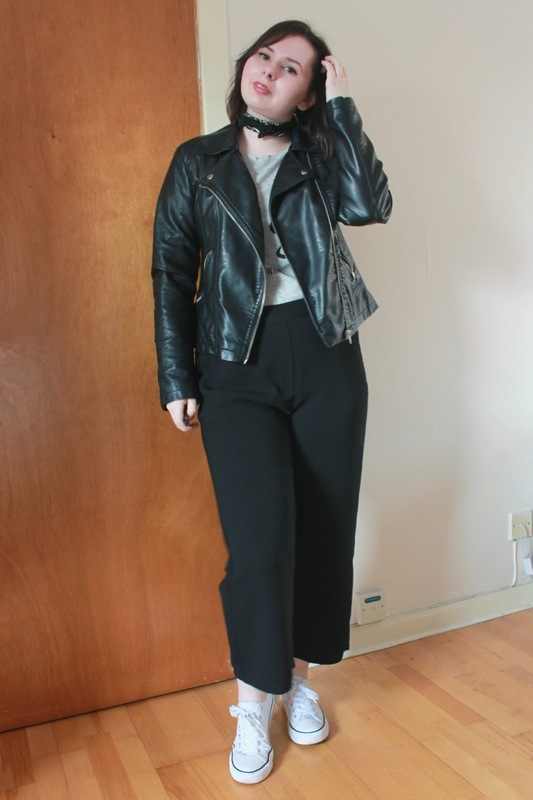 Culottes aren't something I'd usually wear but I loved how you've accessorized them.